When it comes to transcendental production, Clams Casino has undoubtedly set the standard over the past few years with his career-launching work for artists such as A$AP Rocky and Lil B. Recently, though, upcoming talents such as the Sad Boy crew’s Yung Gud have begun to master the style and show promise of becoming household names themselves. 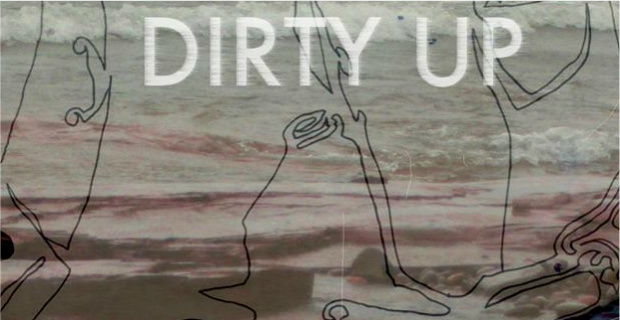 With the release of a brand new EP, Thrillwave, Bay Area born and North Carolina residing artist Matt Futch, better known as Dirty Up, is looking to join this conversation as he flows atop beats that will undoubtedly catch the attention of anyone versed in modern hip-hop. On album opener “Home,” a perfectly chopped up sample of gorgeous female vocals sputters across the airwaves before suddenly becoming accompanied by a steady stream of underlying bass and eventual snare hits. The atmosphere is genuinely one of the most soothing pieces of music to hit the production scene in recent memory, but Dirty Up’s rapping morphs the song into a half self-touting, half tongue-in-cheek anthem of sorts as he spits lines about the comforts of his existence along with more ridiculous quotes such as indulging in “tabs of acid for breakfast.” While some artists may sound ridiculous throwing around lines like so, the calculated, self-aware nature on “Home” makes it not just acceptable, but enjoyable as well. Dirty Up publicly admits rapping isn’t necessarily his strongpoint as he’s used to creating from a production stance, and while this may be true when considering technicality, the guy can still lay down some extremely solid bars and maintain a smooth flow to mix with his instrumentals. On “Waves,” this notion shines through as he confidently glides across the cut (and throws in a vocal pitch-drop at its halfway point for good measure) to compliment the minimalistic keys and echoing atmosphere. Who needs perfection when it already works? While most of Dirty Up’s productions are highly ethereal, this doesn’t necessarily mean they’re all soothing per-se, as he sets in on darker sonic territory with the EP’s closing track, “Surround.” Featuring growling sub-bass and a plethora of eerie sounds shifting in the background, the work allows him to approach more serious content from a lyrical aspect with lines such as “I don’t believe in the Lord, but when I’m bored, I contemplate.” It’s an unyielding way to end the album as it exposes audiences to a lesser-experienced facet of the musician’s arsenal, but more importantly, it sets extremely high expectations for whatever Dirty Up releases next. Mike Giegerich is a freelance journalist with an affinity for the hip-hop scene. His top-five favorite records of all time are Future's last five releases. Feel free to blow up his mentions on Twitter.